Matt Jencik is a musician based in Chicago. Jencik has been performing and recording since the early nineties in bands such as Hurl, Don Caballero, and more recently Slint, Papa M and Circuit Des Yeux. 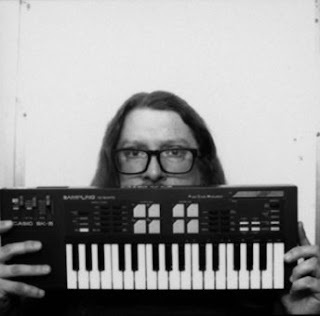 His most recent band Implodes has released two records on Kranky and in early 2017 he released his debut solo album Weird Times on Hands in the Dark Records. Jencik is also a 20+ year record store employee & he's been the head music buyer at Reckless Records for over a decade. "Fuzzy frequencies are one of my favorite things and I was interested in showing how well they can work in different genres of music whether it be lo-fi noise rock, shoegaze, synthesizer music, African rock, folk or black metal. I obviously love all of these tracks, but a few are some of my favorite songs of all time."